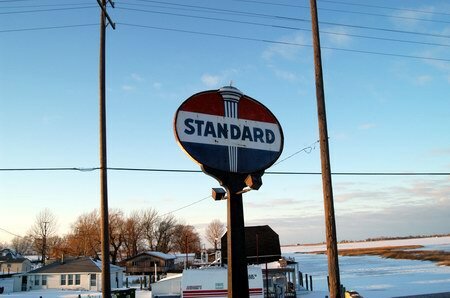 More information and artifacts from the good old days on Harsens Island and the Flats is available at the Harsens Island St. Clair Flats Historical Society Museum. 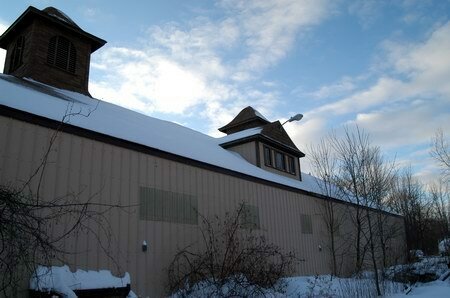 The Museum is located in Sans Souci on South Channel Drive and Williams Street. Admission is FREE. If you are interested in visiting the Museum or have artifacts from the good old days, and are considering donating them, you will find directions and may contact The Society via our website at: www. hiscfhs. org. 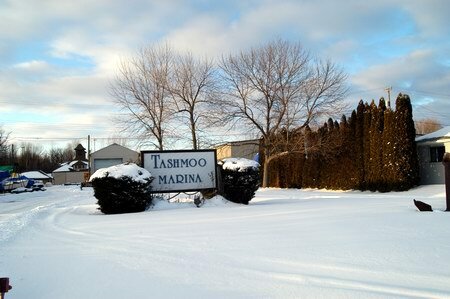 In July 2013, The Society sponsored and event called TASHMOO DAYS to commemorate the activities that occurred here a century ago. The Society is planning a similar event for 2014.
on Saturday July 19. 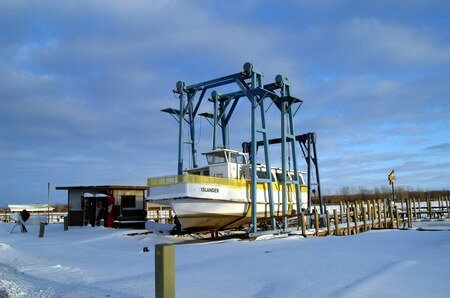 Check our website in April or Google 'Tashmoo Days Harsens Island' for more information on last years event. 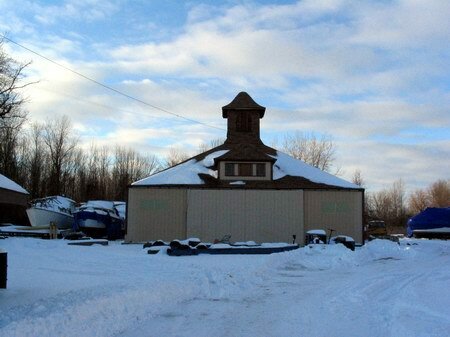 The Island is a great 'Day Trip', there are Bed & Breakfast accommodations, great food at the historic Schoolhouse Grille or the Sans Souci Bar where you sit within 100 yards of he passing lake land ocean freighters. (This is the narrowest part of the channel and they are very close.
) Brown Field, a large park, is close to the ferry landing and the pavilion is available for private party rental. We look forward to your visit. Best regards, Bernard Licata President Harsens Island St. Clair Flats Historical Society. If someone is looking for items from the park I have a miniature canoe paddle with a wood burned scene and the parks name dated 1908. I have a small wooden toy boat with Tashhmoo Park burned in it. It also has my father's name and date of 1934. Also, a teepee. Decided today to google Tashmoo Park. I have an old wooden pencil box with brass hinges that has been wood burned with roses and a picture of two teepees inside a oval on the front. 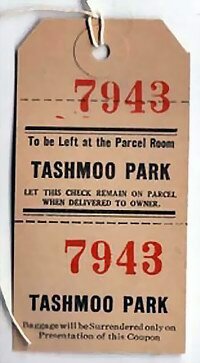 Inside it says Tashmoo Park Sept. 4th, 1911 and the initials LMT. It is in script so I am not sure of the initials. Do you think it was a souvenir and does anyone have anymore information on it? Any information would be greatly appreciated. The first 'POSSIBLE REMNATS' picture. it looks like bleachers. 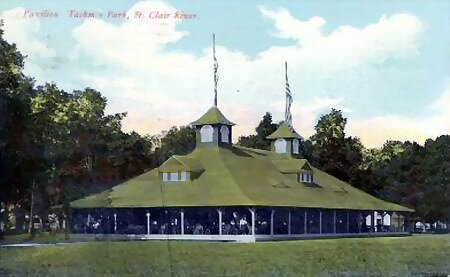 I am looking at a photo from 1920 that says the name of this park and some of my ancestors were sitting at the bleachers. that is how I cam across this page. 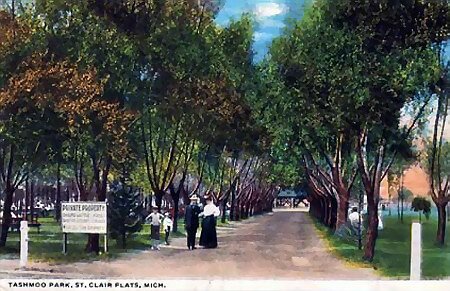 I lived in Michigan all my life and never heard of this park. now i know why lol. I have a leather flag with an indian & tepee on it dated 1913. is it worth anything?. i had a question by the pictures you show there the caption POSSIBLE REMNATS where did u find that stuff, was by or in the marina with the dance pavilion ?From the webmaster: Behind the area where the boathouse is. Hello, my name is Craig Cantrell I''m An Artist an I have Painted The Tashmoo in sepia style if you have time stop in an have a look on my web site at www. redbubble. com under cdcantrell, This old steamer my Grandfather and Grandmother lived on it and worked on it to the day she sunk at the dock in 1936 on the Canadian side my father Played up an down the decks,and my great uncle worked on it also I have one Painted in sepia its called Loren on the remains of the Tashmoo wen it was bing striped 1936 ,Painted from family Photos he work on the Cleavland also ,I have done it in sepia style to Stop in Thanks Craig Cantrell. There were many hotels that were on the Island and Flats. Only two of the main hotels are still standing. One is the old Forester or Gus Troutz hotel and the second is the Mervue, which is now the Idle Hour Club. I know of two houses that were hotels at one time that are still homes. 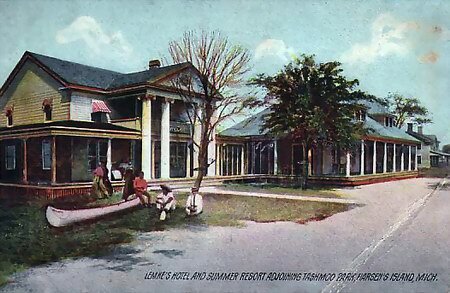 The closest hotel to Tashmoo was called by many names, Lemke, Franks and Island Hotel. This one burned in the 1950s. 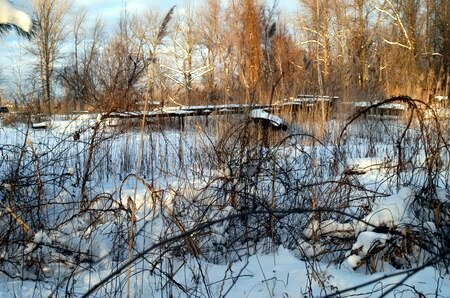 The willow trees that were near it are still there though, just upriver from the park entrance. 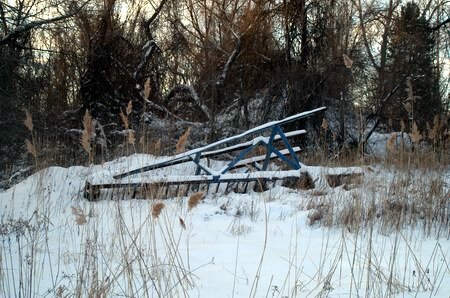 A recent trip out to Harsen's Island revealed that there are a few remnants of the old amusement park still present. 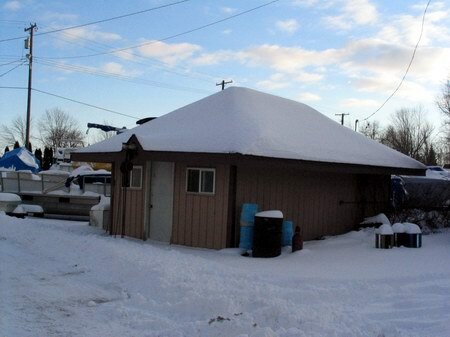 In particular, it appears the shell of the old dance hall is now being used in Tashmoo Marina. 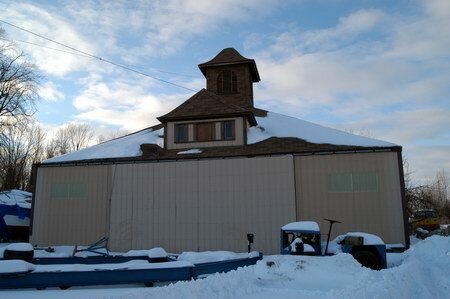 There were also numerous other structures on the premises that appeared to date from that time. I would be interesting to know where the hotels were, apparently there were several at one time, but I did not see any obvious candidates amongst the buildings and structures on the island. Seeing how beautiful the island is today reminds one of how great a location it must have been for an amusement park and resort destination. 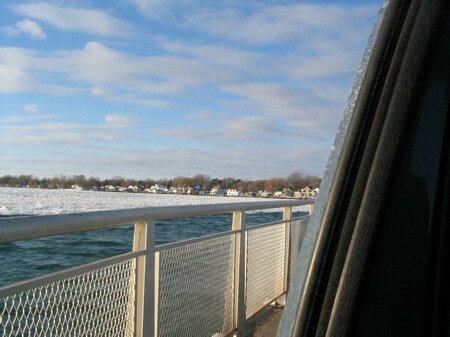 Harsens Island offered some of the best fishing and hinting ground in the St. Clair Flats. This era gave way to an entertainment growth, which brought about hotels, restaurants and an amusement park. The hotels that lined the river were splendid and magnificent, attracting sportsmen, but also lured many other by the islands charm and remote oasis. 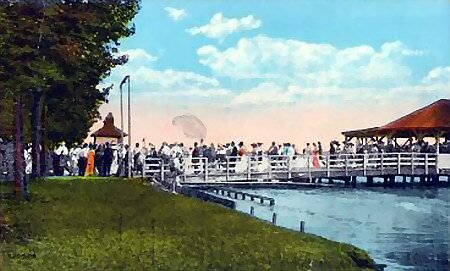 Amusement parks located on the island were quite popular. 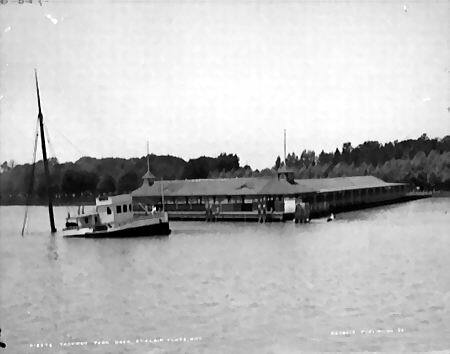 The White Star Line opened Tashmoo Park in 1897, equipped with a casino, dance pavilion, roller rink, recreation center and sports area. 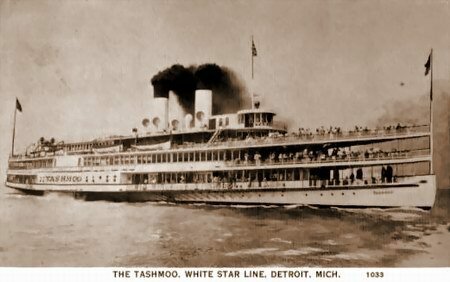 In 1899, the Line built the Tashmoo, a majestic 306-foot steam ship. If was the largest paddle-wheeled steamer on the lakes and could transport and accommodate 3500 passengers. 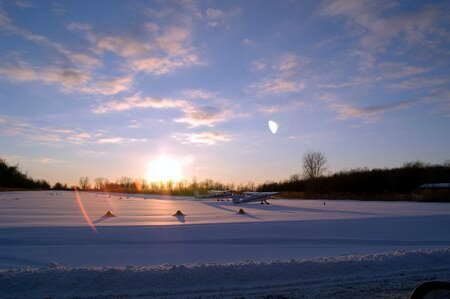 St. Clair Flats – This weeks daytrip is a recommendation from Jim and Mike. 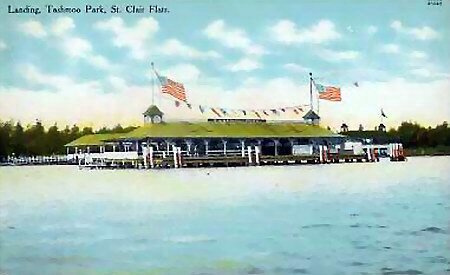 the St.
Clair Flats, its the delta formed where the St. Clair River pours into Lake St. Clair. 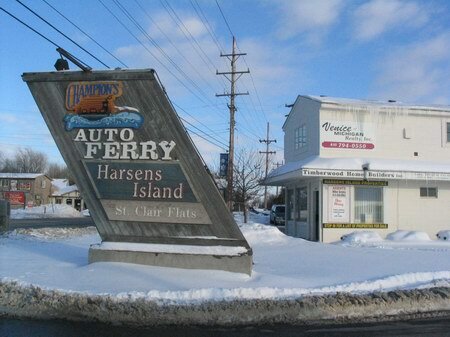 The best known part of the flats is Harsens Island. 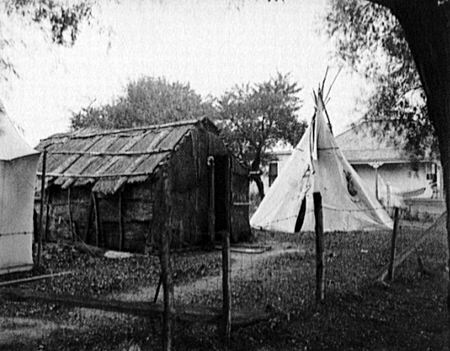 Its been a popular summer resort for Detroiters for over a century, and some of the homes along the South Channel road have been there that long. This was also where Tashmoo Park was. 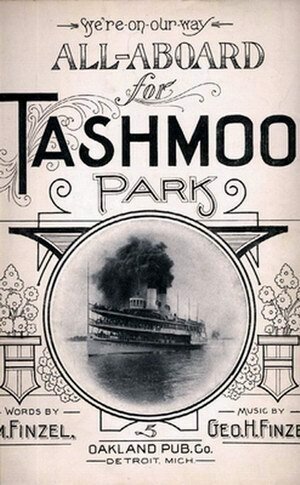 Much like Boblo, Detroiters would sail to the park on board the side wheel steamer, named Tashmoo. 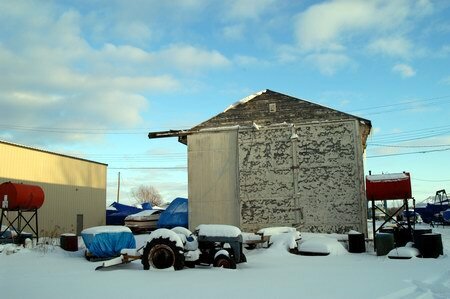 100 years ago there were five private clubhouses and seven hotels on Harsens Island. Today you get there by ferry from Algonacs west side. 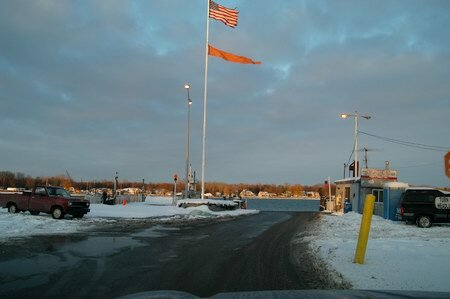 The ferry dock is on M29, about 20 miles east of the I-94 exit to M-29.